Sharing iTunes and App Store content is important. Family Sharing allows families to access the same content across multiple devices. Adding members to your Family Group is easy! Once you've set up Family Sharing and started your group, you can easily add new members anytime. The benefits of Family Sharing are having access to the same music, apps, and even iBooks. 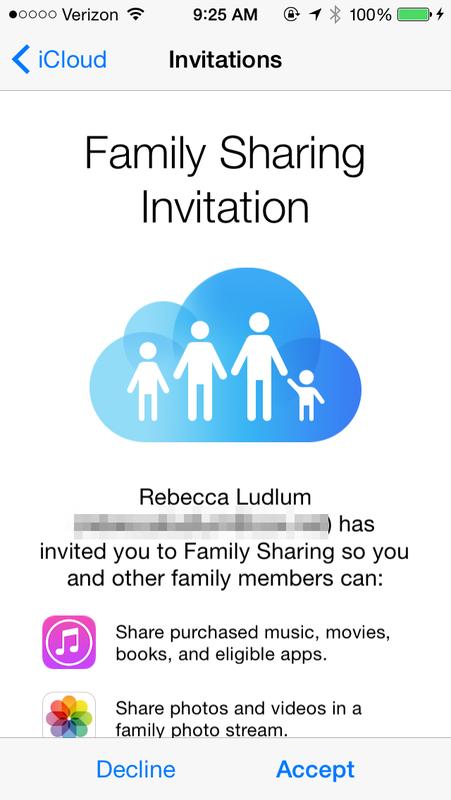 Here's how to send and accept family sharing invitations. 2. You'll be prompted to enter the family member's name. 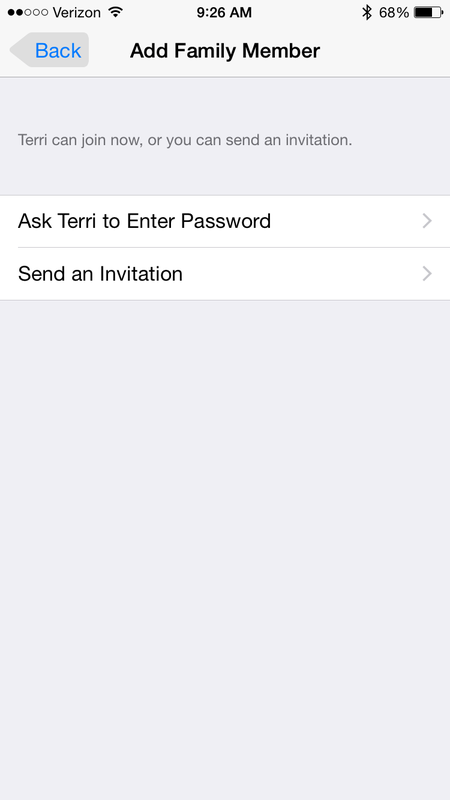 If they're already in your contacts, your iPhone will pull up their email address from there. 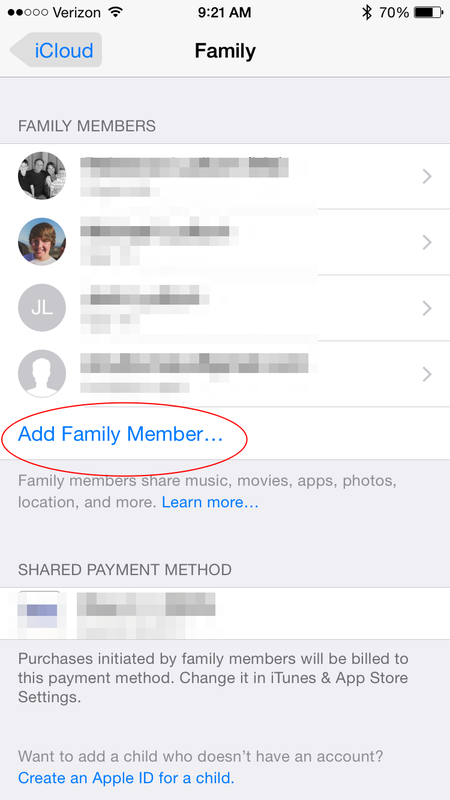 Choose whether you'd like the family member to enter a password (this works best if the family member is sitting right next to you, as you'll be prompted to enter their Apple ID password), or if you'd like to just send them an invitation. 3. Your family member will receive a message that they've been invited to your Family Group. They can accept or decline right from the invitation screen. 5. 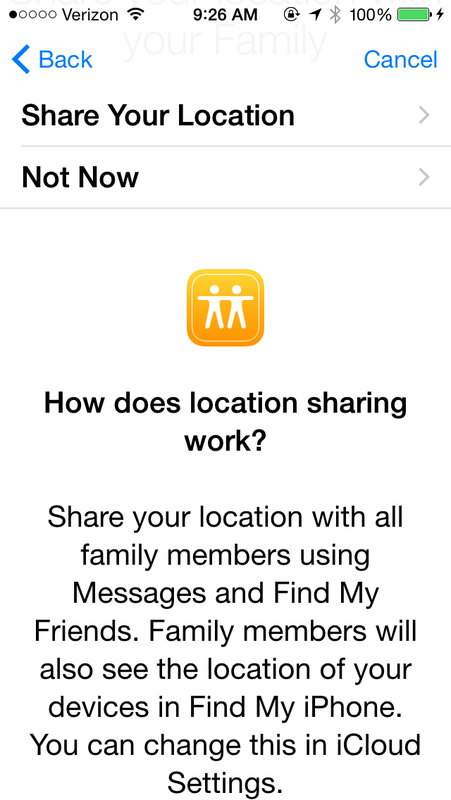 If they accept your invitation, they'll be asked if they would like to share their location. Their location is only shared with members in their Family Group. and they can always change their answer at a later time. That's it! You've just invited someone to join your family. Check back tomorrow for more great Tips of the Day!